In 2013, as part of their long-range work plan, the Appearance Commission set a goal of having murals painted in the downtown area of Wendell. The purposes of adding murals is to create conversation pieces to help draw visitors to the downtown area and surrounding area; help improve the vibrancy of the community; and to help encourage other building/business owners to have a mural painted on their property or just a fresh coat of paint to the building. Over the course of the past two years, the Appearance Commission held fundraisers to help pay for beautification efforts in Wendell. All money raised has been given by private individuals and businesses. The Appearance Commission contacted Michael Brown, a professional muralist from Carrboro with over 30 years of experience, to create mural ideas to honor Wendell’s tobacco heritage. Based on prior mural feedback from residents and business owners, the Appearance Commission felt that a tobacco theme was the next desired theme for a mural. Mr. Brown was asked to design a mural on the Cypress Street end of the building at 15 W. Fourth Street since it provided a large canvas to properly depict a tobacco mural. Mr. Brown created several sketches for the Appearance Commission to review and decide on a specific theme to move forward with a more detailed sketch. 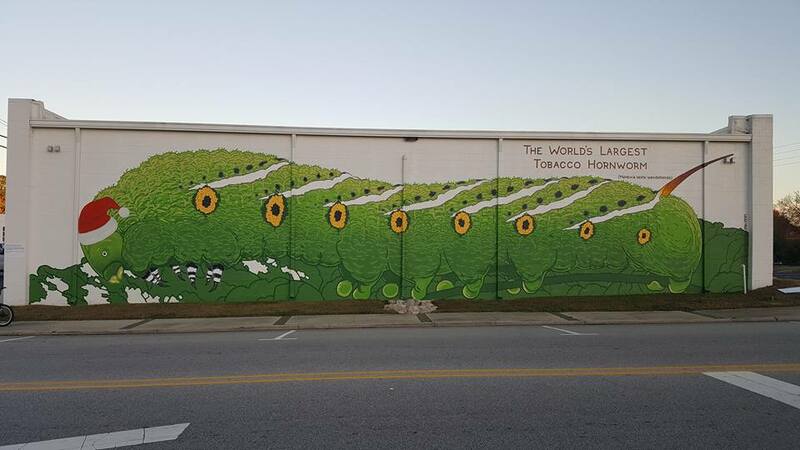 The Appearance Commission voted at their May 2016 meeting to move forward with a mural depicting the world’s largest tobacco worm as a fun way of honoring Wendell’s rich history of tobacco. The worm would also serve to stir conversations among citizens about farming and art. This mural gives Wendell a bit of a bold shock factor to help create a buzz for the town. 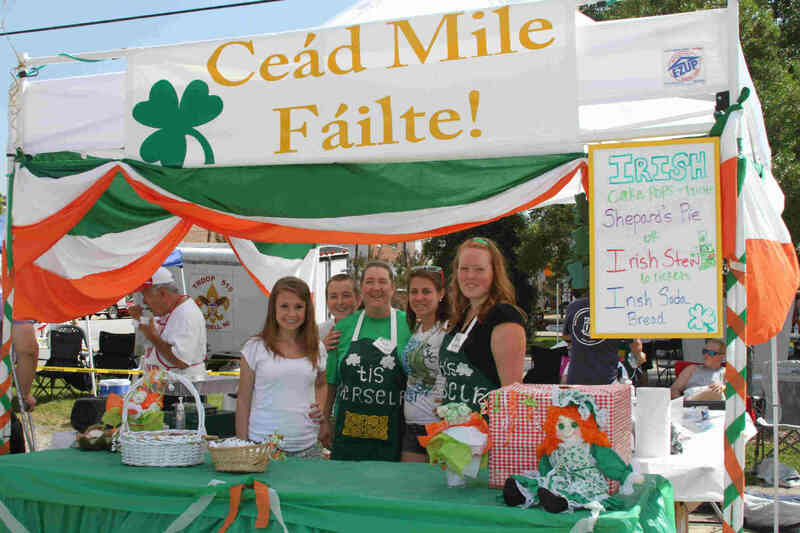 The Appearance Commission voted on August 1st, 2016 to fund the cost of the proposed mural due to its prominent location along Cypress Street and the fun interpretation of the tobacco history in Wendell. The Wendell Board of Commissioners voted to allow the mural at their August 8, 2016 meeting. Due to Mr. Brown’s desire to create the world’s largest tobacco worm and limited Town funds, he personally reached out to CT Wilson Construction of Durham, and he received an agreement with the owner to donate the cost of the paint for the mural. Broach Custom Signs of Wendell donated the sign for the mural. Click here to view the mural as it was being created. The Town of Wendell created a QR code to put on the mural sign so anyone can scan the code and go to this page dedicated to the mural. Please leave your stories about working in tobacco and your encounters with tobacco worms. Almost everyone who has worked in tobacco has a story to tell and this would serves as a way of capturing those stories to be enjoyed by others. Throughout the fall of 2016, a naming contest was held to give the World's Largest Tobacco Worm a name. The name Oliver was voted as the top choice as a tribute the namesake of our town, Oliver Wendell Holmes. Oliver can regularly be found wearing different hats to celebrate different holidays and seasons. Leave your story about tobacco worms or your experiences growing and harvesting tobacco here. News and Observer - August, 12, 2016 - Tobacco worm mural will pay tribute to Wendell's roots.